No. The past Onyeabor was so meticulously trying to cover up was an eight album body of work he had recorded between 1979 and 1985. Why? Because he felt his virtuoso-synth capabilities didn’t pay enough tribute to God. Deep inside the Enugu forest of Eastern Nigeria, an ageing entrepreneur stays concealed within his palace of past splendour watching hour upon hour of TV evangelist T.B. Joshua. Now focused on business interests in a local flour mill and internet café, WILLIAM ONYEABOR seems ashamed of past work and makes every effort to keep any trace distanced from his present life. What terrible secret could this devoutly Christian businessman be trying to hide? Did he commit some atrocity during the Nigerian Civil War in response to the oppression and slaughter of his people? Was he involved in some illicit activity whilst studying cinematography in Soviet Moscow? Did he rise to the rank of High Chief in his Igbo village through violent means? Unsurprisingly Onyeabor was more than reluctant to sign a contract when Luaka Bop approached him about making a compilation of his work. When offered a larger royalty he simply replied “I don’t want money. I’m not a hungry man.” Nigerian ex-pat blogger Uchenna Ikonne finally managed get him to sign the contract in 2009 but despite having his name on paper Onyeabor proved elusive. It wasn’t until label boss Eric Welles-Nyström flew out to meet with him personally that Luaka Bop got what it needed. Having picked up a number of analog synthesizers and drum machines whilst studying in Europe, Onyeabor had returned to his native village and started creating an outernational style of music that transcended all around it. The didgeridoo emulating synths of “Good Name” and the squelchy feel good rhythms of “Fantastic Man” were a far stretch from the type of music Fela Kuti, Tony Allen and other artists of the African Cultural Revolution were making. The tracks would fit much more readily within the italo and electro funk scenes of the Western World. The eastern tinged disco of “Love is Blind” too, was far removed, sounding more like the work of fellow synth virtuoso Charanjit Singh. In another isolated incident of world music colliding with electronica, Singh’s “Ten Ragas to a Disco Beat” touched on acid territory a full five years before the release of Phuture’s “Acid Tracks“. 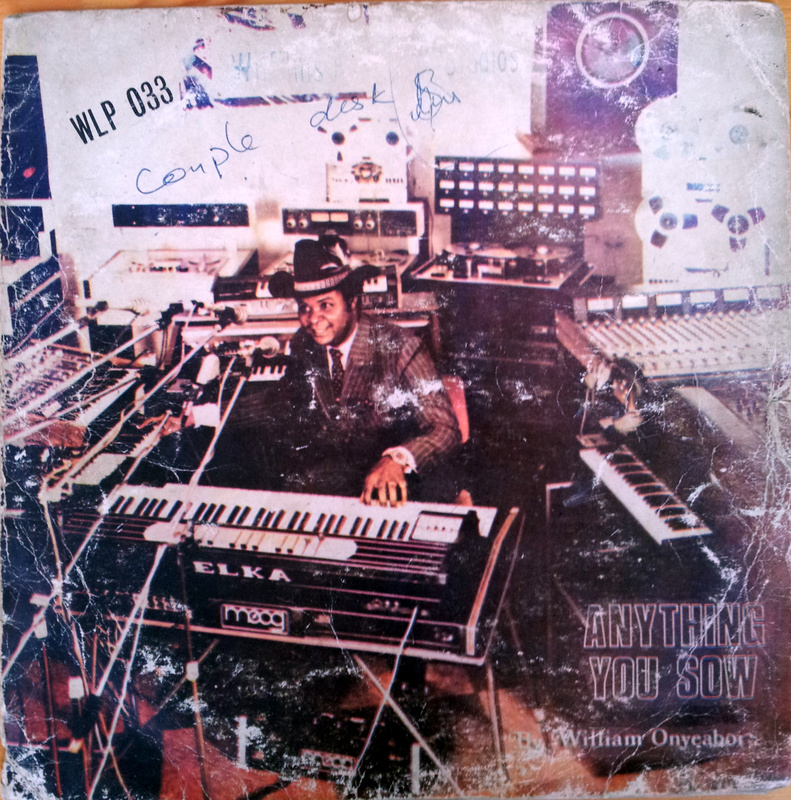 Late in 2013 the label – which helped unearth past gems like Shuggie Otis and Tim Maia - put nine of Onyeabor’s rudimentary yet revelatory tracks back into circulation via the compilation “Who is William Onyeabor“. Predictably, the master tapes had been lost so the recording was taken from vinyl resulting in a somewhat deprived sound quality. The lesser quality only served to complement the uncomplicated sound of his tracks, however. As did the naïf but noble lyrical content; “good name is better than silver and gold”, “why go to war, why not find peace?” Whilst many of his contemporaries were indignant about the plight of their native land, Onyeabor took a cheerier, escapist approach to his song writing, occasionally addressing real world issues but only doing so in an idealistic manner. Having caused an immediate impact the compilation is set to be re-imagined by the likes of Dâm-Funk, Illum Sphere and John Talabot in an already commissioned remix album. Considering Onyeabor’s strong conservative Christian leanings I’m sure he will certainly approve of the drug-addled atmosphere they will now be fuelling on the modern day dancefloor.